Fujifilm X-T30 is a new mid-range APS-c sensor mirrorless camera designed for both stills and video. The instruction manual for the Fujifilm X-T30 mirrorless camera is now available for download. 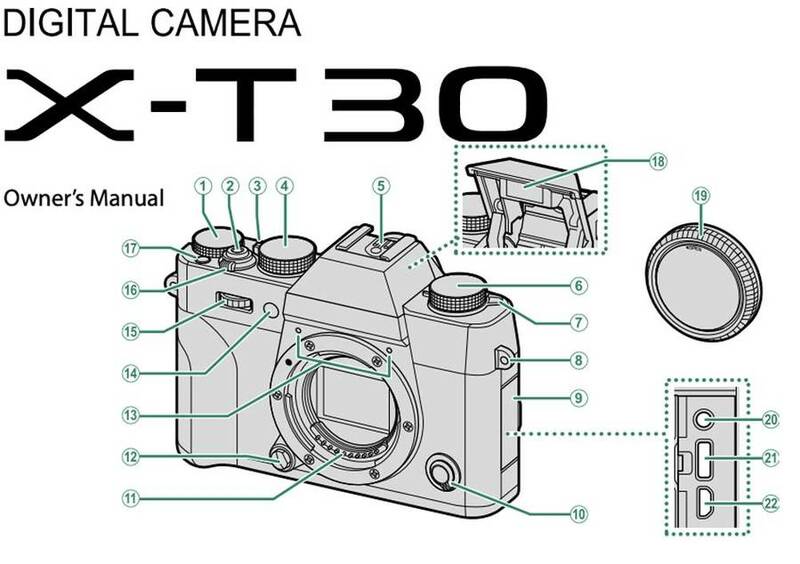 You can download Fujifilm X-T30 user’s manual as HTML and PDF. Fujifilm X-T30 offers the same 26.1MP X-Trans sensor and X-Processor 4 Quad Core-CPU found in the X-T3. The camera comes with a hybrid AF system with 425 points across the entire frame, and boasts faster face detection compared to its X-T20 predecessor. Fujifilm X-T30 video feature set includes 4K/30p and 10-bit 4:2:2 output via HDMI and 8-bit 4:2:0 internal recording. The Fujifilm X-T30 is currently selling for$899 body-only, $999 with XC 15-45mm F3.5-5.6 OIS Power Zoom or $1299 with 18-55mm F2.8-4. Also join the Fujifilm Camera Users Facebook Group to share your Fujifilm photography.